This post brought to you by Fellowes. All opinions are 100% mine. Fellowes, the popular manufacturer of shredders has recently released their latest innovative product Fellowes 73Ci. 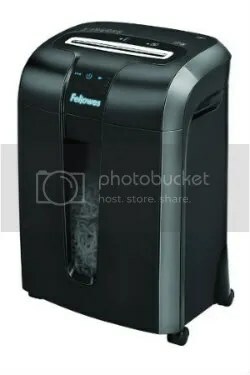 Fellowes, Inc, is category leader in product innovation, they manufactured first personal shredder in the year 1990. Their latest product is an advanced paper shredder suitable for home and small office users. It brings several new useful features and technology for optimal performance, safety and power efficiency. If you are running small office and need a good paper shredder, you can take a look at this new product from Fellowes. We know that paper jamming is one of the most serious problems of paper shredders. Fellowes has invented advanced technology to solve this problem. According to Fellowes, this innovative technology will provide 100% protection against paper jamming. Most other brand offer anti-jamming features but no one comes near to Fellowes 73Ci as it offers multiple levels of jam prevention. Fellowes 73Ci has a very attractive design and it looks really great. Under the hood it features SafeSense Technology which automatically stops the shredder when someone touches the paper opening. In this way it provides optimal safely. Controlling Fellowes 73Ci is a pleasure, thanks to the capacitive touch screen controls. Fellowes 73Ci has heavy-duty Cross-Cut blades which destroys a single paper into 397 particles. So it is almost impossible to join the paper pieces to rejoin the paper. You may be wondering about power consumption of this shredder, you will be happy to know that it has a proprietary Energy Saving System which will offer greater energy efficiency. Fellowes 73Ci is available at office superstores from the January this year. The suggested retail price of Fellowes 73Ci is $199.99. For more information about Fellowes 73Ci you can visit their official website. I’ve discussed many features of this paper shredder, among those which feature you liked most? Can Your Handmade Spy Earpiece Appear Much Better? I have use both 79pi and 73pi and think fellows 73pi is more better than 79pi.What you say?